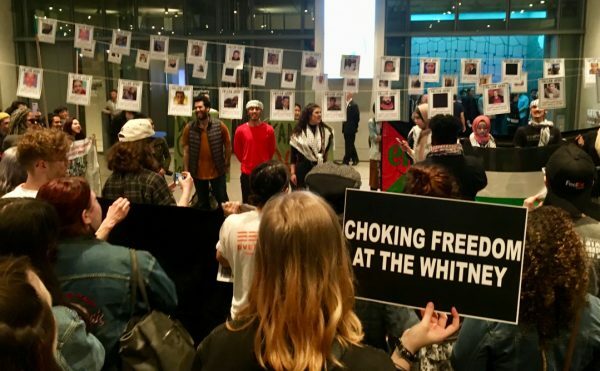 70 of New York City arts organizations have called upon the City’s government to convene a symposium on how to better serve the city’s immigrant community now under siege by ICE and the Trump administration. Back in June, 70 of New York City’s leading arts organizations sent a letter to the New York’s Department of Cultural Affairs (DCLA) and Mayor Bill de Blasio’s Office of Immigrant Affairs (MOIA) to organize a summit for cultural institutions to more effectively support the city’s immigrant communities. The list of signatories included Abrons Art Center, Bidoun, National Black Theatre, Recess, Smack Mellon, Visual AIDS, and W.A.G.E.. It’s worth noting that no major museum in the city — like the Museum of Modern Art or the Brooklyn Museum — have signed onto the initiative. “The ruthless assault on immigrant communities, and on migrants trying to seek asylum at the border, has reached unprecedented levels,” one section of the letter reads. “We are appalled by these actions happening in America now, and believe this is a moment where we have to hold each other and our institutions accountable.” The letter is posted below in full. It’s not rare for New York City to feel like its own country separated from the rest of the United States, but increasingly aggressive rhetoric surrounding immigration and sanctuary city policies has widened the gap between city and country. According to a 2017 study by the Pew Research Center, about 1.2 million of the country’s 11.1 million undocumented immigrants live in New York City. Nearly 40 percent of the City’s population is foreign-born, or just about 3.3 million people from over 150 countries according to the comptroller. 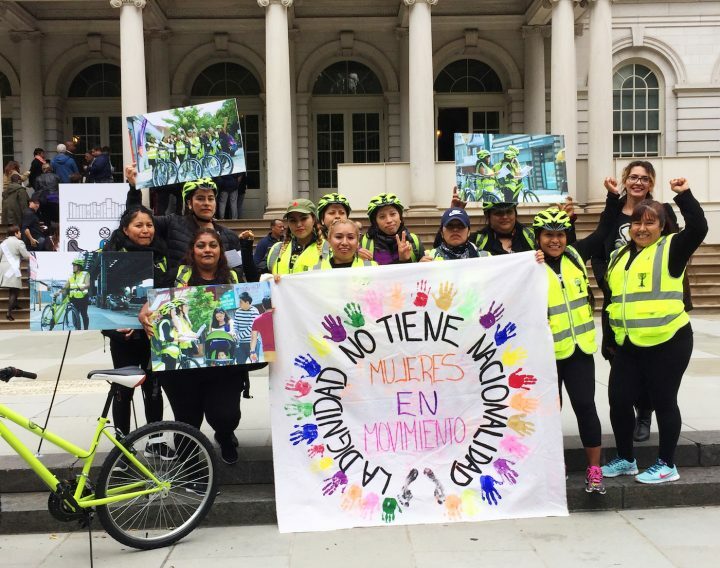 Thus, the Trump administration’s attacks on immigrant-friendly cities like NYC and his widespread use of Immigration and Customs Enforcement (ICE) officials to apprehend undocumented immigrants presents a crucial challenge for the city’s municipal authorities. Now, the DCLA and the MOIA have agreed to collaborate on a one-day “office hours” which will occur on the afternoon of Thursday, August 30 at the Department of Cultural Affairs. Co-organized by Art Space Sanctuary and No Longer Empty, two nonprofits devoted to social justice, the conference will welcome its participates with a series of lectures, workshops, and trainings that explore the immigrant experience in the United States. Entitled, “What Can We Do? 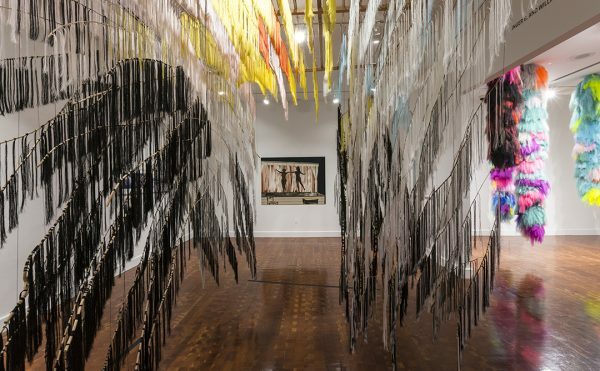 Immigration and the Cultural Community,” organizers are hoping to pose a handful of key questions: What kinds of artistic and educational programming can be of service to immigrant communities? What city policies that are welcoming to immigrant communities can be applied to cultural institutions? What kind of staff and volunteer training opportunities may be useful or necessary? Through this special combination of civic, artistic, and pedagogical dialogues, the event team hopes to reinvigorate the art world’s commitment to immigrant communities. Max added that a larger summit will likely happen later in the fall. Raquel de Anda, director of Public Engagement at No Longer Empty who has helped plan the office hours event and the October symposium, reiterates Max’s sentiment. She tells Hyperallergic that this conference will be the first step in a much longer initiative to protect and serve immigrant populations in the city. At the center of this, art can tell the stories of the people most impacted to make sure their humanity is not erased in this moment. What immigrants have endured to come to this country, what they have escaped from and what they have built here, these are heroic stories and should be celebrated. As for why more cultural institutions have failed to stand up for immigrant rights, Farman hypothesizes that they are scared to wade into political waters for fear of having their nonprofit status revoked. (In the United States, nonprofits are required to not engage in political activities by law, though what qualifies as political can often be debatable.) The issue of the National Rifle Association (NRA), for instance, is discussed here. “This initiative is an opportunity to address some of these matters and also to come together as a larger whole and try and develop a wider swathe of protection and coordinate actions,” says Farman. Artspace Sanctuary and the undersigned organizations are writing to invite the Department of Cultural Affairs (DCLA), along with the Mayor’s Office of Immigrant Affairs (MOIA), to help convene a gathering of the cultural community, including libraries, in order to explore the options they have within the law (and in cognizance of 501(c)3 status) and the positive, critical role that they might play in the current crisis around migration and racism; to stand up and to provide the most basic level of safety and equality of access, and demonstrate solidarity with communities across the boroughs. The ruthless assault on immigrant communities, and on migrants trying to seek asylum at the border, has reached unprecedented levels. You have heard the stories – thousands of children have been forcibly separated from their parents by armed border patrol as a matter of state policy; hundreds of children who have been taken away have been “lost;” immigration judges are being forced to criminalize migrants en masse; activists are under attack, and more than 40,000 humans are being held in jails every day by order of Congress, by the impunity of ICE, by the complicity of county officials, and by the inaction of institutions and the citizenry. ICE is pursuing and disappearing up to 16,000 adults and children a month, over 95% from Mexico, Central and South America, and the Caribbean, many of whom have been residing in the United States for decades, sometimes for 50 years or more. Hundreds of thousands of people are being rendered statusless by executive decisions like those that have scrapped DACA and TPS for many nationalities – including most recently 9,000 Nepalese who have nowhere to turn. We are appalled by these actions happening in America now, and believe this is a moment where we have to hold each other and our institutions accountable. If we are not able to take a stand at a moment like this, then when will we? That is why we are asking the Department of Cultural Affairs to help convene a Sanctuary Summit in the fall; a gathering of cultural institutions and the cultural community at large to address these matters. We invite the Department of Cultural Affairs and MOIA to join committed NYC artists, cultural producers and workers in helping convene a sanctuary summit for cultural organizations and libraries to discuss these matters, to learn from each other, build solidarity and envision actionable strategies as a network of committed cultural workers. We – Artspace Sanctuary and supporters along with the New Sanctuary Coalition – are ready and committed to collaborate with the DCLA and other city offices to make this a reality. What can cultural organizations do within the limits set by their 501c(3) status? How can spaces be used for education and dialogue around these issues? What kinds of training of staff and volunteers may be useful or necessary? 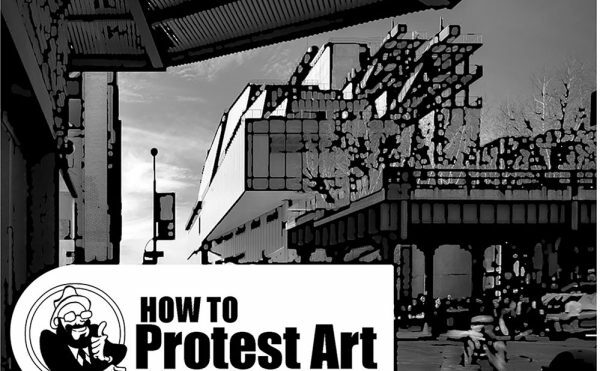 How can artists and activists respond in this moment? What ‘sanctuary city’ policies can be applied to cultural institutions? How can immigrant organizers and cultural institutions best work together? How can they benefit from each others’ work? What kinds of coalitions exist and/or need to be built and what may already be possible with the people in the room? How can we create a safe space and be prepared for raids by ICE? What kinds of artistic and educational programming is appropriate? What is already being done that can be better supported? Thank you. We look forward to working together with you!